Wetherill Park Towing (WPT) has been in operation for over 10 years specialising in Accident assistance, breakdowns, machinery, salvage and all round towing assistance. We strive to specialise in assisting many local businesses together with many others throughout Sydney metro with an affordable, reliable, professional and friendly service. 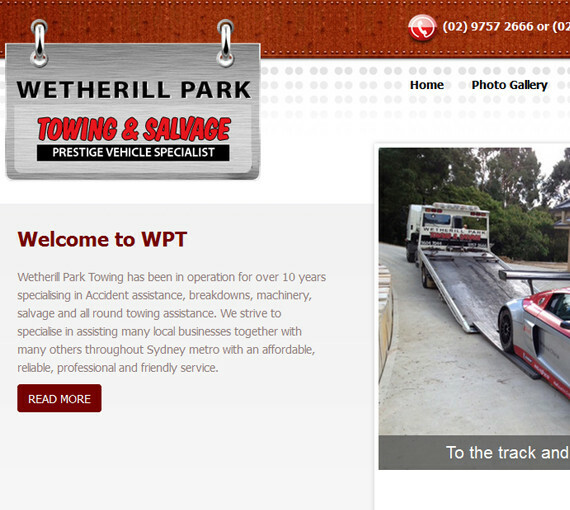 Wetherill Park Towing website is a database-driven website with various modules that can be managed via the site Admin Panel. An elegant informational design with CMS, specials and photogallery modules. November 2014 the business owner made a prudent decision by asking us to upgrade the website to be mobile phones and tablets friendly (responsive website). The main design has been maintained however; we had to upgrade most components so that the site is best viewable across desktops, laptops, tablets and mobile phones.